This ethereal mansion, figuratively speaking, is reached by a freemason who is possessed by the virtue of charity in its most ample sense. This journey begins with a study of the English Bible. By this means faith is strengthened and the hope created that we may become partakers in the promises recorded in the English Bible. These three steps have been figuratively compared to the rungs of a ladder, ascending to an ethereal mansion. A ladder requires climbing. Effort and patience is required to take hold of it, step up on it, and ascend the ladder one step at a time. "May Your will be done in earth as it is in heaven? " At Subiaco, Benedict decided that work was necessary for well being and created an organization for all Christians to live as fully as possible the life presented in the Gospel. Accordingly, brothers, if we want to reach the highest summit of humility, if we desire to attain speedily that exaltation in heaven to which we climb by the humility of the present life, then by our actions we must set up that ladder on which Jacob in a dream saw angels ascending and descending. Without doubt, this descent and ascent can signify only that we descend by exaltation and ascend by humility. Now the ladder erected is our life on earth, and if we humble our hearts the Lord will raise it to heaven. We may call our body and soul the sides of this ladder, into which our divine vocation has fitted the various steps of humility and discipline as we ascend. Monasticism was one of the central intellectual, social, and cultural institutions of medieval Europe. When all these degrees of humility have been climbed, the monk will presently come to that perfect love of God which casts out all fear; whereby he will begin to observe without labour, as though naturally and by habit, all these precepts which formerly he did not observe without fear: no longer for fear of hell, but for love of Christ and through delight in virtue. For Benedict, the individual quest for honesty and God occurs in the context of a supportive community. 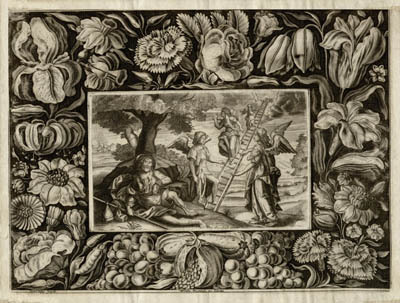 Benedict described twelve steps of a ladder from a false sense of self to where listening to God can happen. "Jacob went out from Beer-Sheba and traveled toward Haran. He came to a certain place and stayed the night there, because the sun had set. He took a stone from the place, put it under his head and lay down there to sleep. 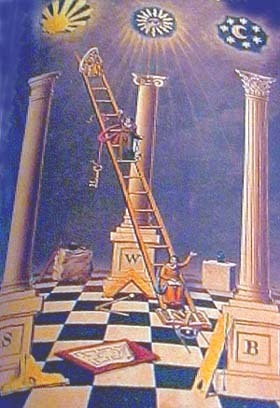 He dreamt that there before him was a ladder resting on the ground with its top reaching to heaven, and the angels of YHWH were going up and down on it."